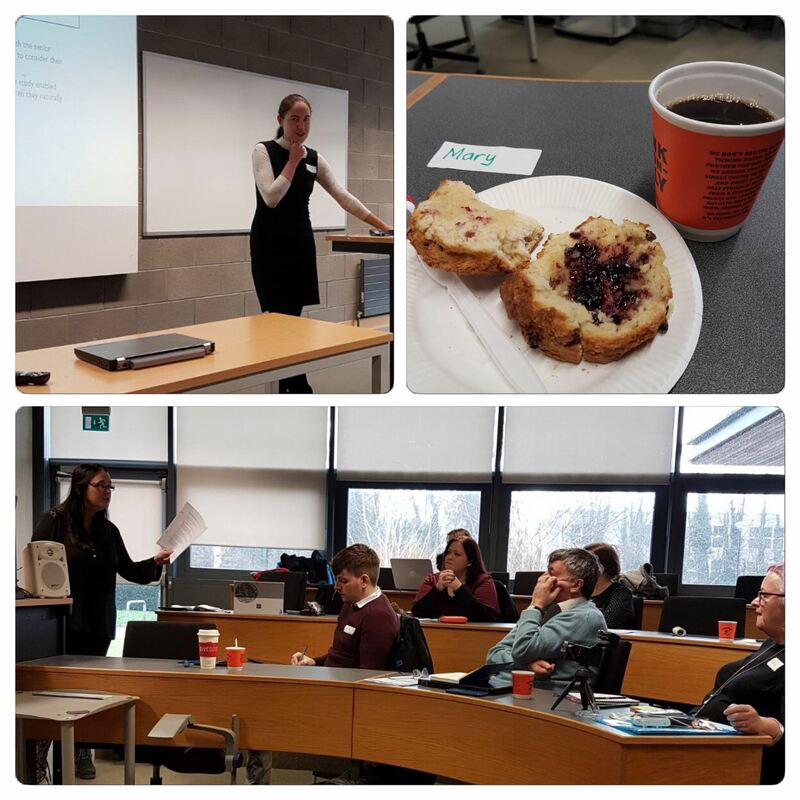 Our first NEARI-meet in the University of Limerick was awakened by the aroma and taste of morning coffee. 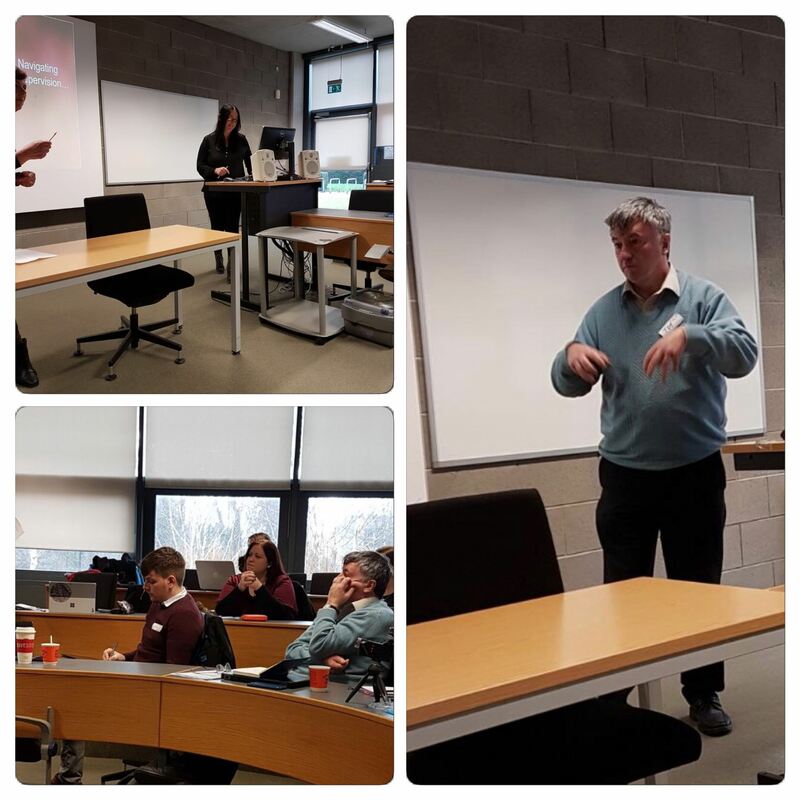 We at NEARI would like to thank everyone in the College of Education at UL for the coffees, teas and scones and hosting the day so graciously (check the photographs). Old NEARI allies were reacquainted and lots of new links forged. The day was navigated under the gentle hand of Bernie Sullivan, who kept us all on track. 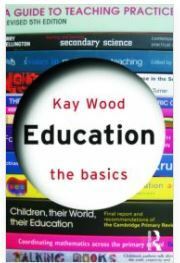 Our first item to set the tone for the day was from Mary Roche who shared an excerpt from Education: the Basics by Kay Wood with the group. Mary read sections from the Introduction to the book and it provoked some engaging responses from the group at the time and in subsequent days. Patricia Mannix McNamara gave the day’s keynote entitled Navigating Supervision across Multiple Perspectives. Patricia drew on her own lived experiences of being supervised and of supervising to support her arguments. She inspired the group to work towards having a voice and listening to the voice of others so as to generate a more equitable and fairer form of supervision. Tom Cosgrove gave the first ‘Round Robin’ presentation of the day and gave a hugely insightful and humorous interpretation of the various voices that he visualised around the supervision process. Following some sustenance from more coffee and delicious scones (see photos), we resumed our Round Robin presentations. 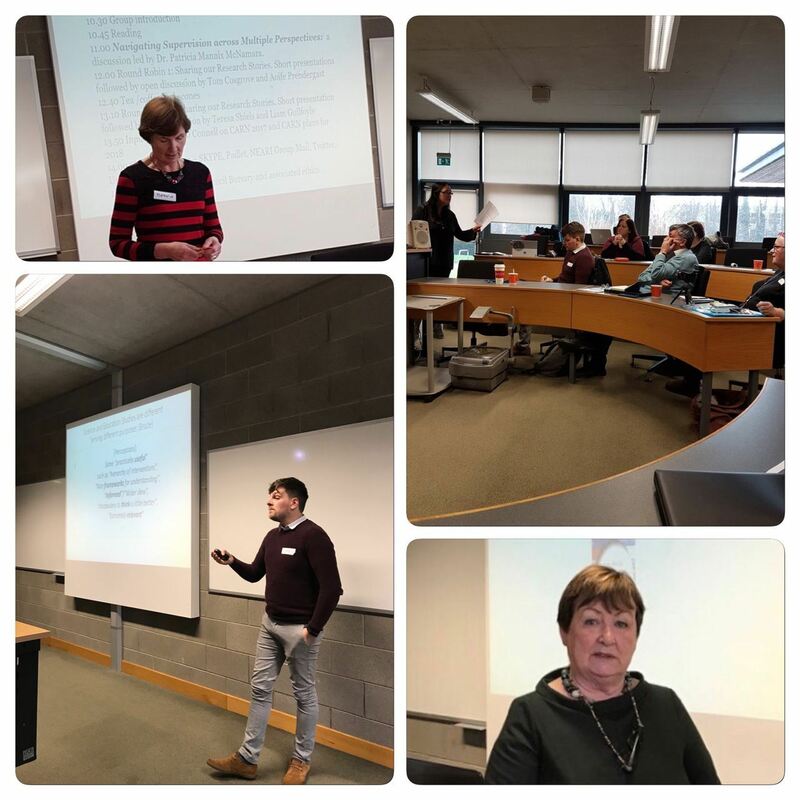 Teresa Shiels followed on with an awe-inspiring presentation on her insights into the inclusion of students with traumatic brain injury in third level degree programmes. 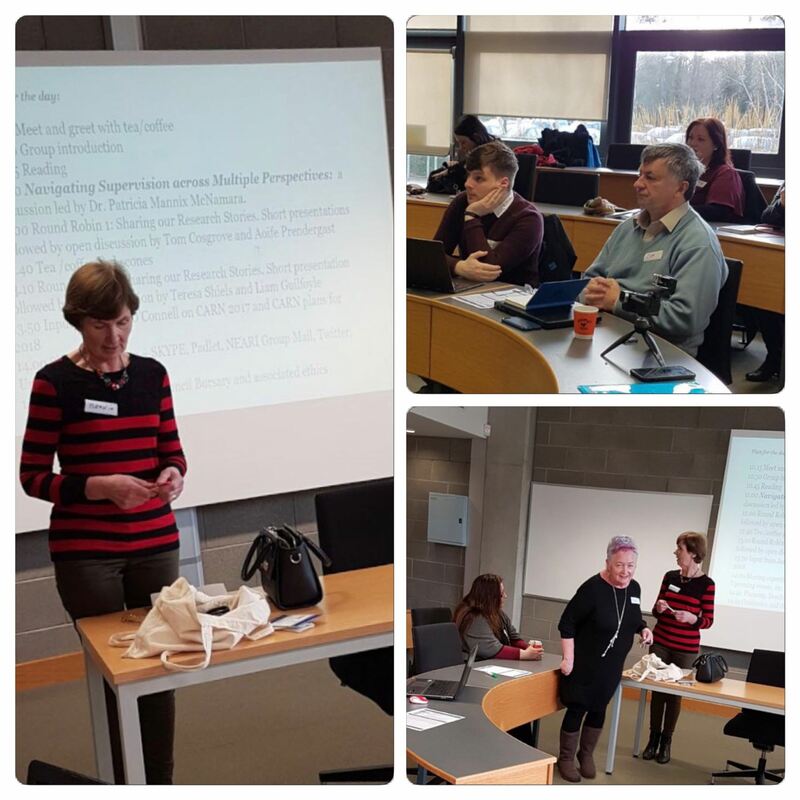 The next presentation was from Aoife Prendergast who shared her learning from her experiences of supervision while engaging in very impressive research in social care practice education. It provoked an interesting discussion on ‘integrity’ and its meaning for people in the group. The final ‘Round-Robiner’ of the day was Liam Guilfoyle. His presentation was about the potential influence of teachers’ subject-area epistemic beliefs on the perceptions they hold towards education studies. Liam’s presentation instigated some stimulating discussion for the concluding session of the day. Jane O’Connell gave a mouth-watering overview of the Collaborative Action Research Network (CARN) Conference in Greece in October 2017. 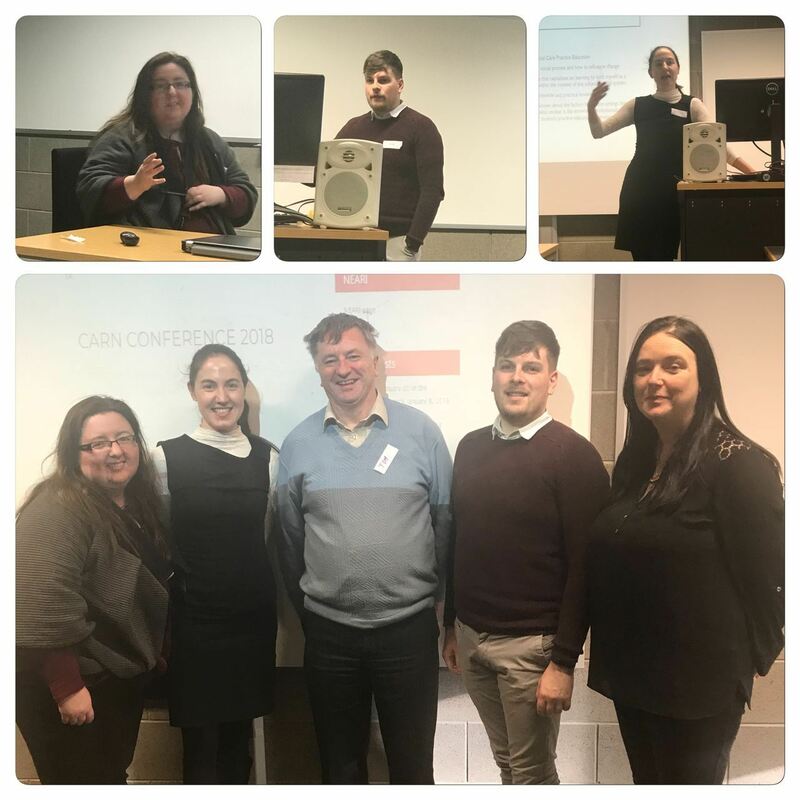 She advised us that the next CARN Conference will take place in Manchester Oct 25-27 https://www.carn.org.uk/updates/carn-conference-2018/. 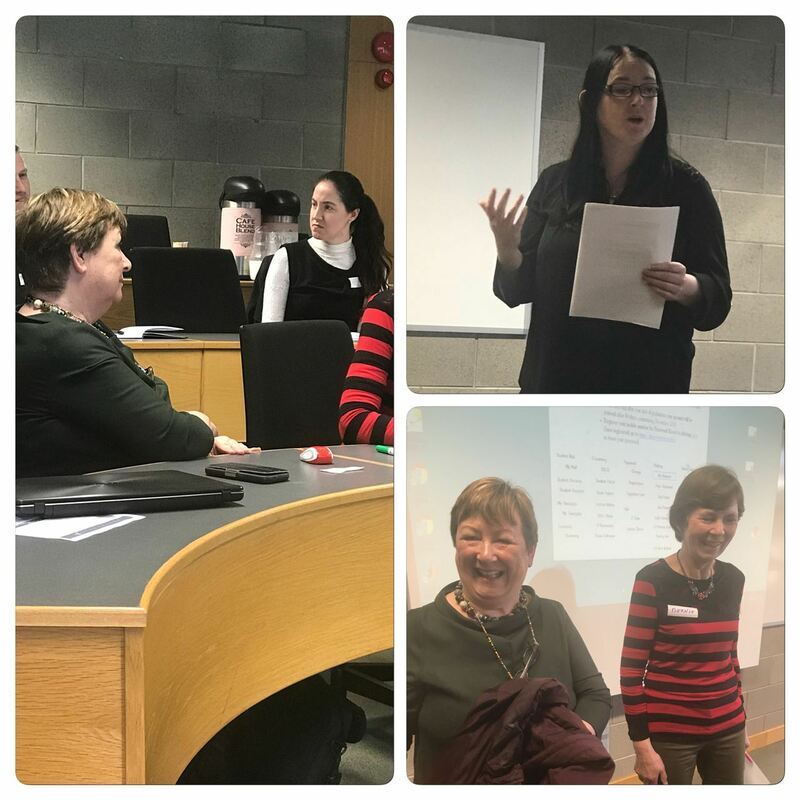 Our final few minutes at NEARI at UL were spent looking at the resources we have found useful as we engage in the process of self-study action research. You can see them at http://www.eari.ie/resources-to-help-with-the-action-research-process/ . We also took a look at upcoming events that may be of interest to practitioner reserachers. These are available at http://www.eari.ie/upcoming-events-of-interest-to-practitioner-researchers/ . 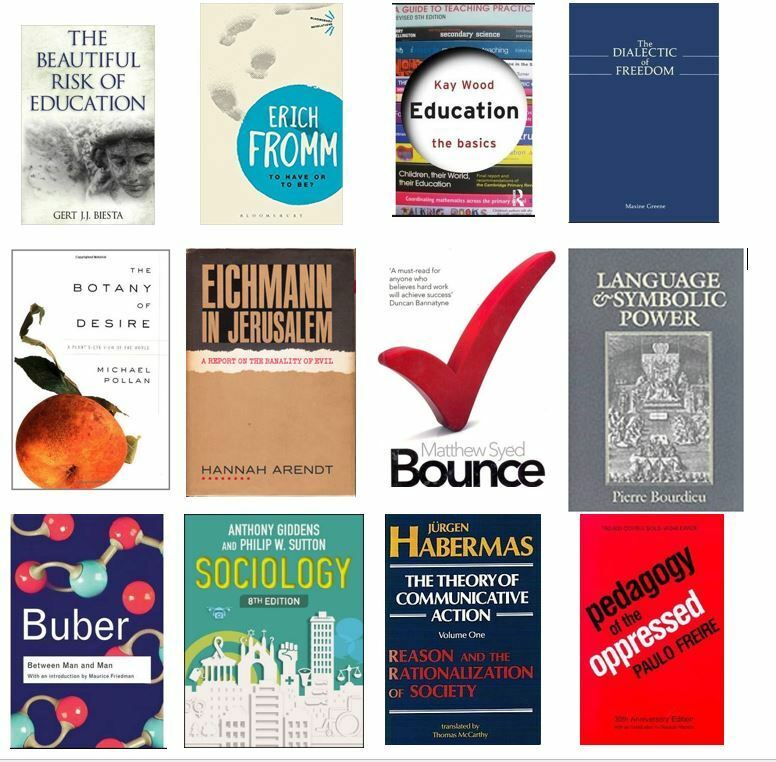 These were the books mentioned during NEARI-meet at UL.